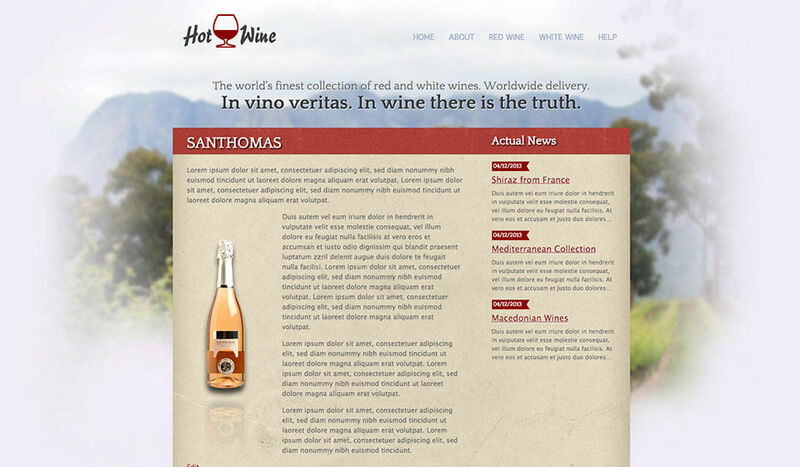 Hot Wine puts the product’s package in focus. In this case, that’s the wine bottles. 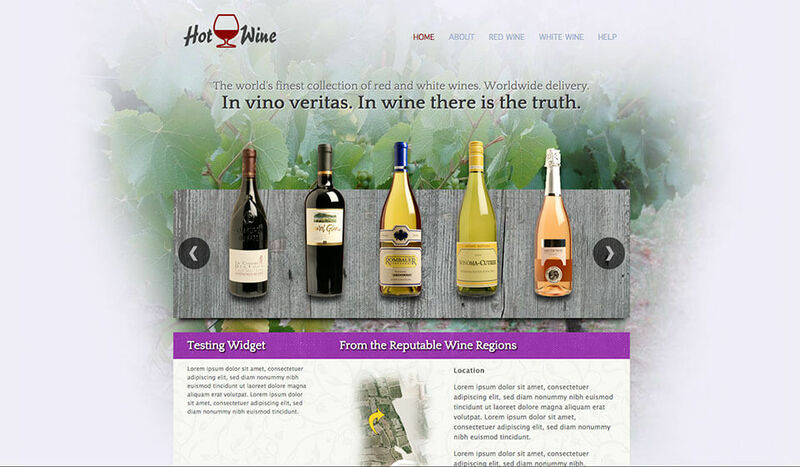 Using the Hot WordPress Carousel Pro in image mode, we rotate the images of the product bottles and link them to the separate product pages. 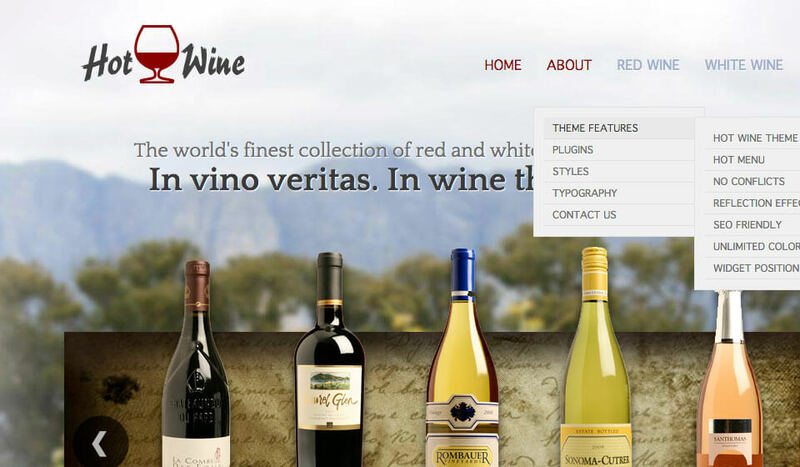 The plugin is included in the Wine WordPress theme package. Wine is one of the most popular drinks in the world. There are many kinds of wine depending of the area of origin, type of grape it’s produced of and many other parameters. “In vino veritas” is an old latin dictum. Wine is a very important export product for some countries that’s recognized as wine producers with high reputation. Beside the large wineries, there are also small, family owned wineries. 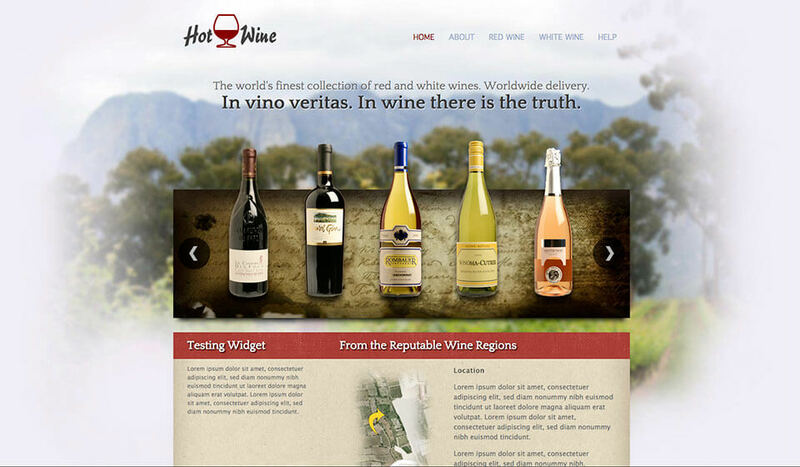 They usually produce a high quality organic wine and related products, such as cider and vinegar. 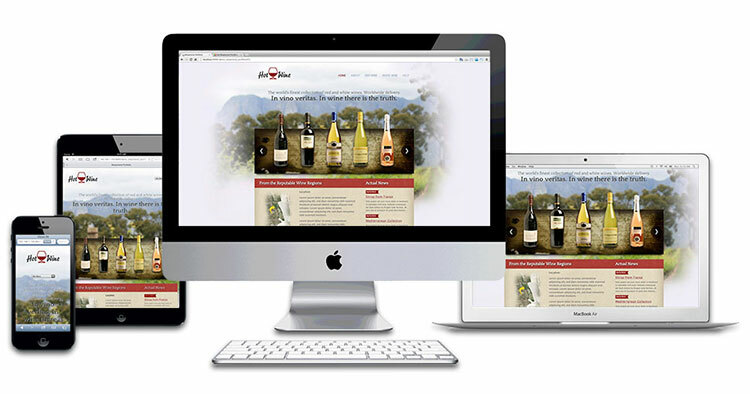 Both large and small vineries need websites. So, let’s stay sober-minded and focus on our business. 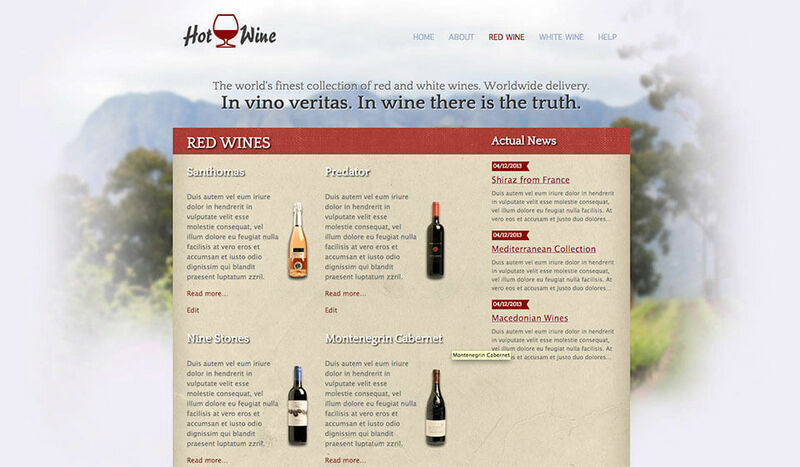 Hot Wine WordPress theme can help us to create a nice website for wine producers. A similar website will be also good for producers of any other kind of beverages, alcoholic or non-alcoholic, such as beer, soda, cider, fruit juice, etc. 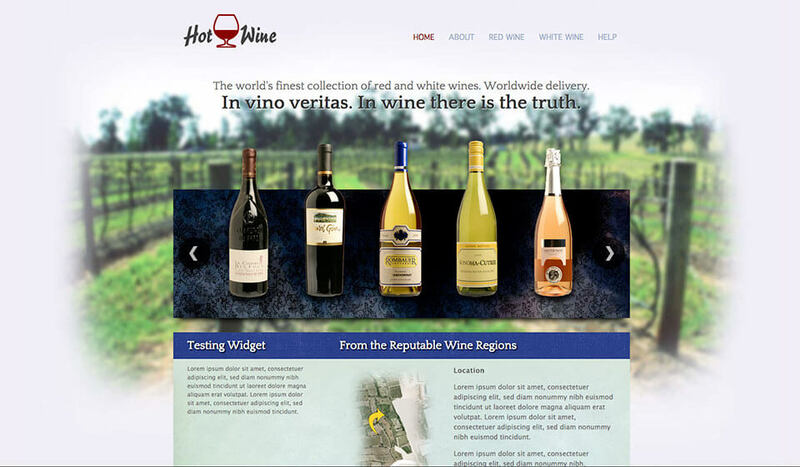 The content area of the Wine WordPress theme gives the visitors more information about our product, such as area of origin, product characteristics, and so on. The Actual News plugin shows some posts from the selected category. It’s ideal for informing your customers about company’s news and activities. 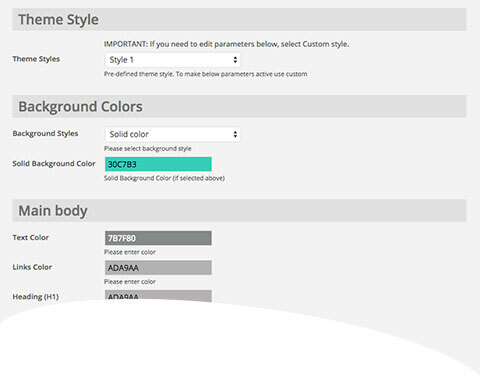 This theme is responsive and it adopts to the visitor’s screen automatically. The theme will reduce its width if visitor uses a tablet. It will also change layout and show all the elements in a single column if user is on smartphone. The top menu with drop-down will be also changed to the select list on all mobile devices for better user experience.